Leading organizations are harnessing data and analytics to realise new and previously untapped business value. Find out how you can too, and how you can fast-track your Digital Transformation journey through analytics. 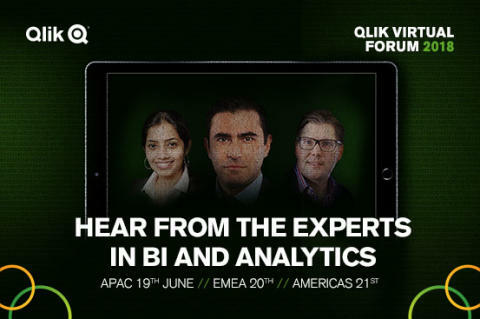 Our partner Qlik is the leading data analytics platform and the pioneer of user-driven business intelligence. So, join us on the 20th June for this free online event, which will introduce you to the experts, products and solutions that will help you transform your business. Take the first step to unlocking the power of your data, and accelerate your Digital Transformation journey.